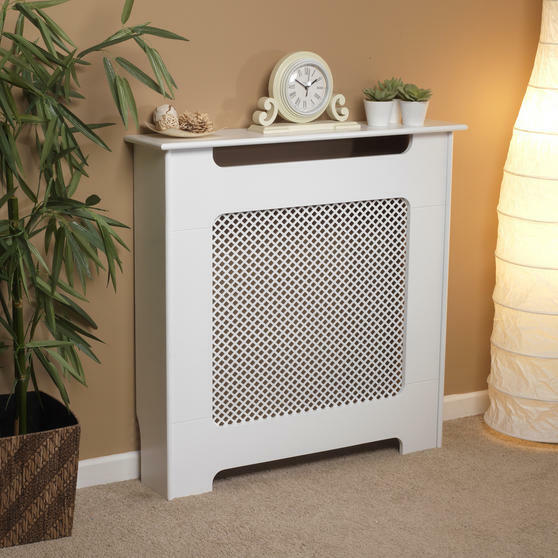 Ideal for a home with pets or small children, this Beldray radiator cover will brilliantly protect your family from the immediate heat of a hot radiator. 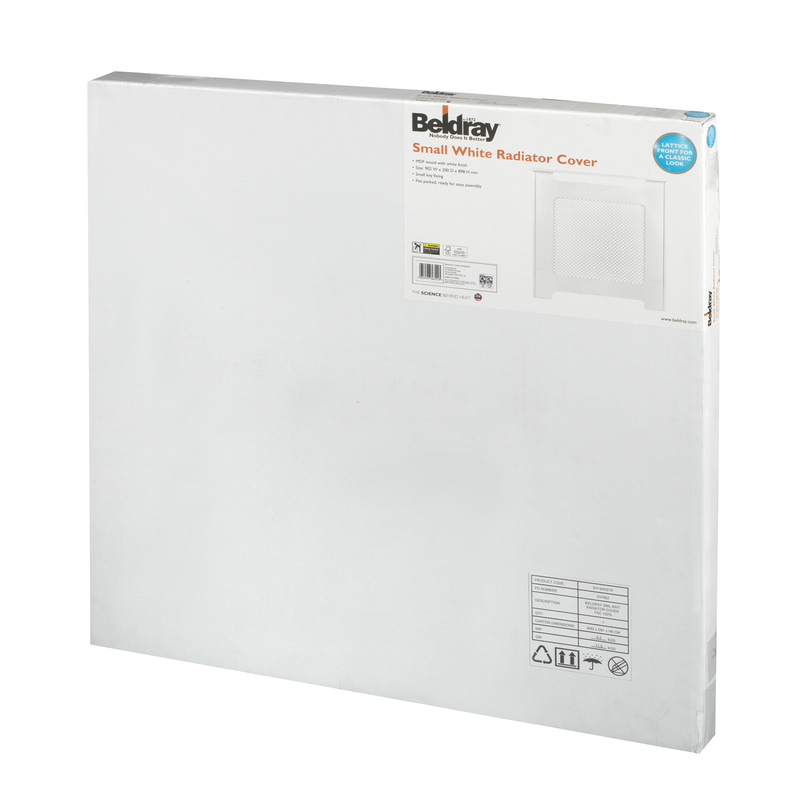 Made from 100% FSC MDF wood with a white satin finish, it will look lovely in your home and will match any decor. Measuring 90.2W x 20D x 89.8H cm, it has a small key fixing and arrives flat packed ready for easy assembly. 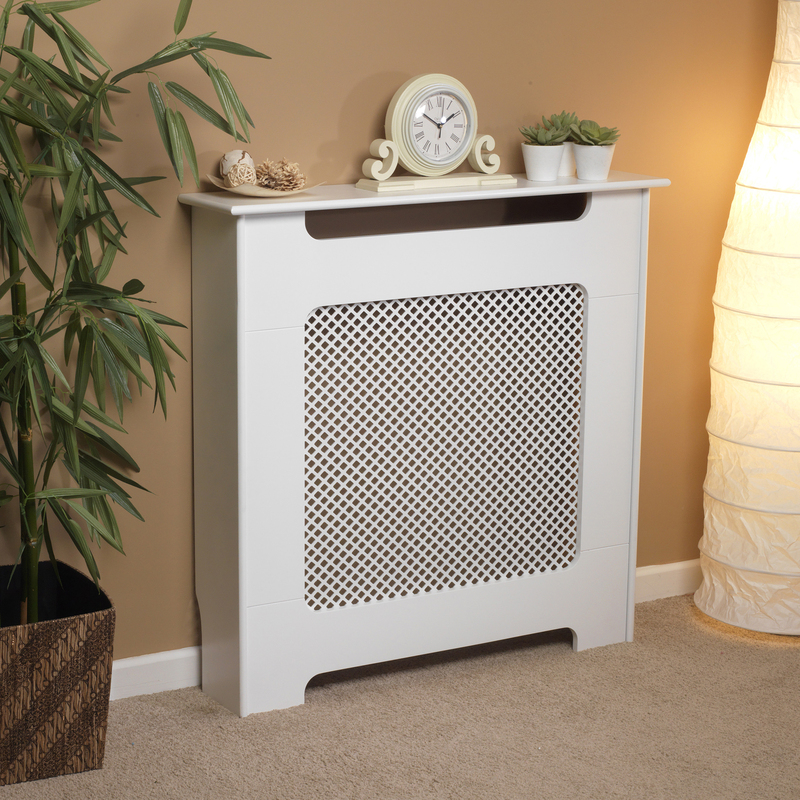 With a lattice front for a classic look, this smart radiator cover will look great in any setting. 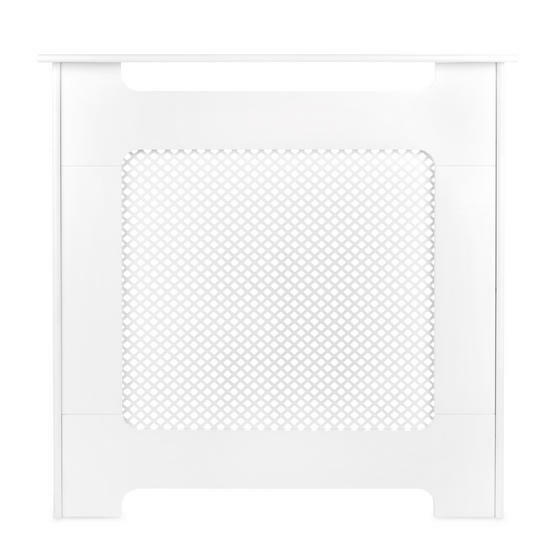 Protect your family from hot radiators without blocking the heat to the room with this fantastic Beldray small radiator cover. Brilliantly easy to assemble, with a small key fixing, the radiator cover arrives flat packed and measures 90.2W x 20D x 89.8H cm.